High blood pressure medications can save lives. They may be necessary. Doctors often work to determine the right types and amounts to limit any complications and side effects. These drugs have different characteristics and features, with some being beneficial while others may be detrimental to you. The right medication for your specific need and taken in the correct amount can be a lifesaver to you. If you are prescribed the wrong medicine it may be a waste of money as it can trigger potentially dangerous side effects such as heart palpitations and dizziness. Your doctor follows developed guidelines to determine what type of high blood pressure medications that will not exacerbate any known risk factors you may have. 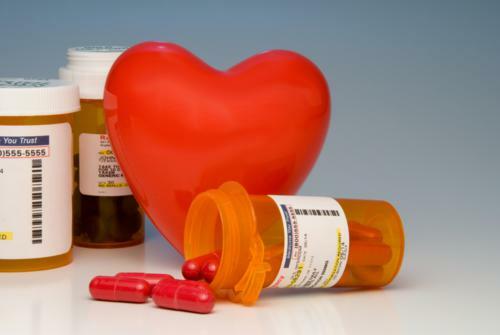 Taking medication reduces your risk of cardiovascular disease and death. Unfortunately, most medications have side effects. One side effect that seems to affect both male and female is the lowering of their sexuality. Read more on how you can amp up your libido and what squashes it. There are several types of HBP medicines that really works thats prescribed to treat this silent killer disease. While some doctors even decide whether or not to prescribe generic medication. This decision, most time, is dependant on cost because it will then be taken as instructed. Antihypertensive: These reduce blood pressure. Water pills that remove excess fluids from the body, and salt, which may be necessary as an initial treatment option. Diuretics are temporary, with doctors recommending to no longer using them once reaching optimal levels. Medications that reduce heart rate and the amount of blood the heart pumps. In turn, this decreases the blood pressure in the arteries. Sympathetic nerve inhibitors may be useful. The sympathetic nerves run from the brain throughout the body. These nerves tell the arteries to contract. Contraction of the arteries causes a rise in blood pressure. These types of high blood pressure medications can inhibit the nerves from constricting the blood vessels significantly. There are other high blood pressure drugs. For example, doctors may recommend vasodilators. These cause the muscles in the walls of the arteries to relax. This helps the blood vessels, including the arteries to dilate better, allowing blood to flow through them easier. ACE inhibitors are another type of medication used for treatment of high blood pressure. Drugs like the blood pressure medication Benicar work to reduce the production of angiotensin, a chemical that causes the arteries to constrict. As mentioned, high blood pressure medications are not the only option when it comes to improving your health. These tips can also be helpful. Get to know the complete list of medications and their benefits that are on the market to treat this disease. Some blood pressure medication side effects can be limiting. Speak to your doctor about alternatives medicine for HBP. Work to change your lifestyle choices, especially weight loss, with the help of taking Hoodia, so that you do not have to remain on medications for the rest of your life. Natural high blood pressure medicine can also be helpful. Supplements can help to naturally lower your blood pressure without significant side effects. The best treatment for high blood pressure is a combination of medications, lifestyle changes and natural supplements like potassium and maybe even taking magnesium as part of your treatment. Not everyone needs medication. Talk to your doctor about your needs. And read the American Heart Association views on keeping healthy and protecting your heart. Medications can provide individuals with lower blood pressure because of the way they work. Doctors sometime recommend aspirin (not Ibuprofen, Claritin or Benadryl,) and other medications to complement their treatments for those who have moderate to severe levels of high blood pressure. Although medications are sometimes necessary, they do not work as well on their own. Rather, it is also necessary to use lifestyle changes to accomplish your goal of controlling your high blood pressure. Return to Home from "High Blood Pressure Medications".